How to learn English by reading books in English? "You Can Read It!" 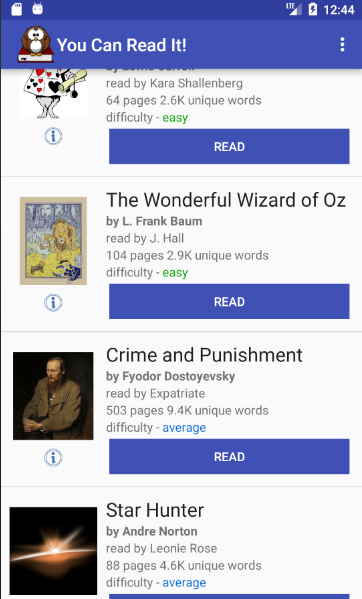 app for Android was created for people who speak English as a second language to help them to read classical books in English. Each book is synchronized with its audiobook. You can read, or listen, or do both simultaneously. 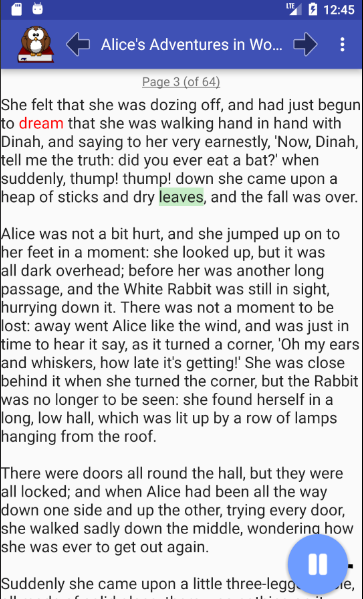 You can adjust the speed of the narration if necessary. 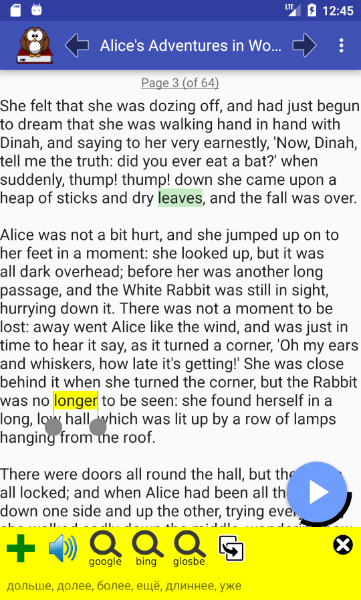 If you face an unfamiliar word or phrase, you can instantly look up its translation in the embedded dictionary by a single tap. Or you can save the selection as a flashcard and review it later using "spaced repetition" method. 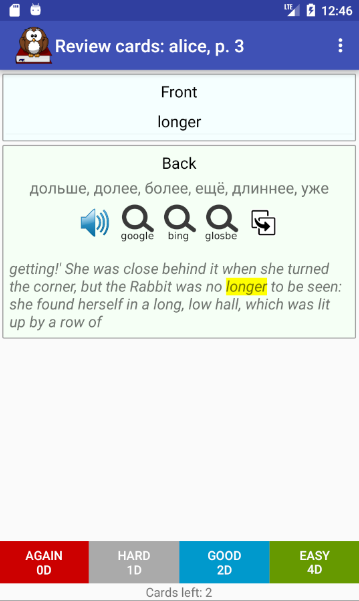 The flashcard will contain the selected word or phrase, the context in which it was used in the book, and the translation. To study it, you will be asked to review the card from time to time.